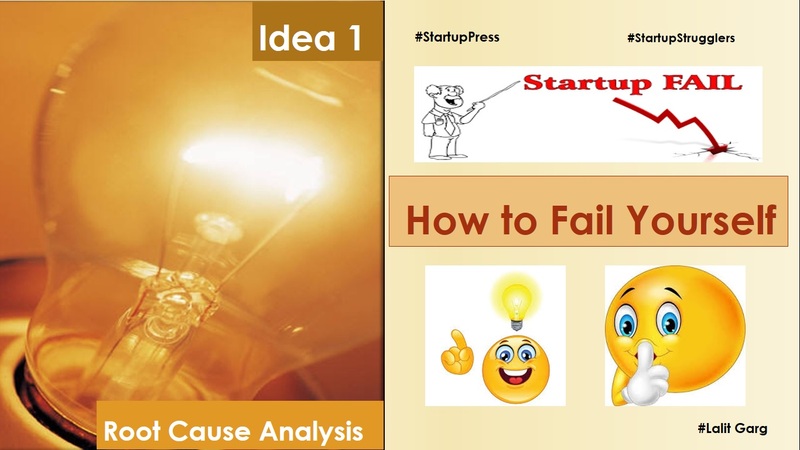 In the startup industry, from all side of environment we came to know that startup is about implementing idea which can make the life of people easier to live, main emphasis is on the word “IDEA”, so we start searching for an idea, after some time we come up witan idea. We start dreaming of it and it make us multimillion milliner in short spam of day dream. We think that this is an amazing idea if I will share my idea with someone then there is chance that my idea will be stolen and someone else will implement the same. Most of us are live in a society where we are afraid to share our idea. Due to this thinking, we are forcing our-self to the domain of failure. Why I am saying this will be cleared from the below points. 2) Others who implement the same. Some people who have idea and dreamer only will never make any effort to implement this. this is already a failure, they are in the group of 50% people. Some people who have the idea and they starts implementing, they think that idea is awesome and if we will share this then someone can implement this, they are in the category of 40% people who failed due to the lack of knowledge and experience. so, they never share this with other and so no chance for idea verification/advice etc. that itself seems to be failure even in initial phased. Everyone who want to start something have idea, no one will work on your idea, because implementation itself is a big thing, so the person who have courage, ability & potential to implement something must have enough ideas with him. So Please start sharing your idea with your friends, relatives, colleagues, seniors to get advices/suggestions. It will not harm you anymore. Share your Views on this? Also share this article with one who can give relevant views on this. And this is the Answer we will get from most of Us. But is it really mean that you really want to start a business. No, it doesn’t mean the same. "Want" is something different from wish, it may be your wish, but it is not that you want. 50% from the all of us even didn’t give a try to do the business. Thanks to the 80% people from the 50%(40% of total) who even try and make some efforts to convert your wish to want but they got failed as they don’t know how to do business but start a business due to their desire to do so. After the failure these people returns to their home to live their previous life. But one interested fact about these 9% is that they lean from mistakes and again put their effort, they didn’t give up very easily and finally most of them move to the band of 1% scattered over the years. 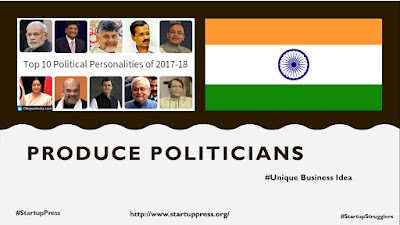 These 9% people are most important and can change the society, they can make a good eco system for startups, they have the collective experience of list of mistakes that a startup seeker did and had the solution also. But Unfortunately, our society, our system doesn’t give a platform to these 9% people to help other many more 9% lot to make them successful. In general, only 1% of the people out of 100% can start their own business successfully and only 10% people put relevant effort. Other 90% People either don’t make any effort or start business or make very less effort but says that we want to start a business. Stop following successful people if you want to be successful. We all read and collect the information about what they had done in the journey of success. At this stage you fell like you will be on the right direction to achieve the things you want. Is it the complete information that you should have for a successful journey? We have missed these point and even these successful people don’t have the answer to these points. So from where we can get these points: Answer is From Failed peoples. While interacting with the failed peoples you will come to know about all those things what they did and make them failed, so these are the things that one must don’t do in the journey. 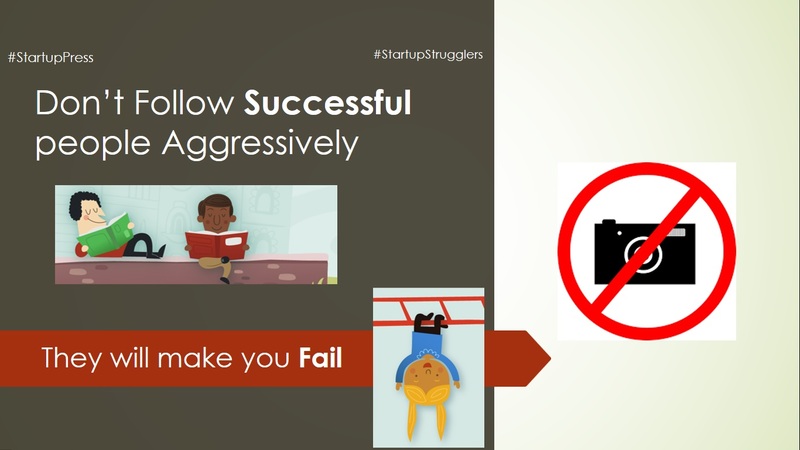 For this you must have to listen the stories of these failed startups and this will be possible if you have left some space in your mind and thinking’s for them as well, which will be possible if we are not following successful people blindly. Most of us are aware about the potential in Agriculture market, but didnt know from where we can start and how any branch of the same can be explore. We all knows that more than 75% of our population lives in Villages and depend on agriculture. One of the field of agriculture is called as Horticulture (Baagwani), Majorly used for cultivating flowers or high quality vegetables. Normally in 1-acre land, a farmer can earn not more than 1 lakh per year if he goes for traditional farming, but if he can go for polyhouse farming than he can easy earn 8-10 lakh per year. Center Govt as well as state govt is also promoting this farming and giving a huge subsidy varied from 60% to 90% depending on the state to state. 1) It is a Israeli technology that is used by Indian govt to promote the same. 2) No special type of technical knowledge is required to do this type of farming. 5) You have to approach your District Horticulture Office for making application and collecting other information. 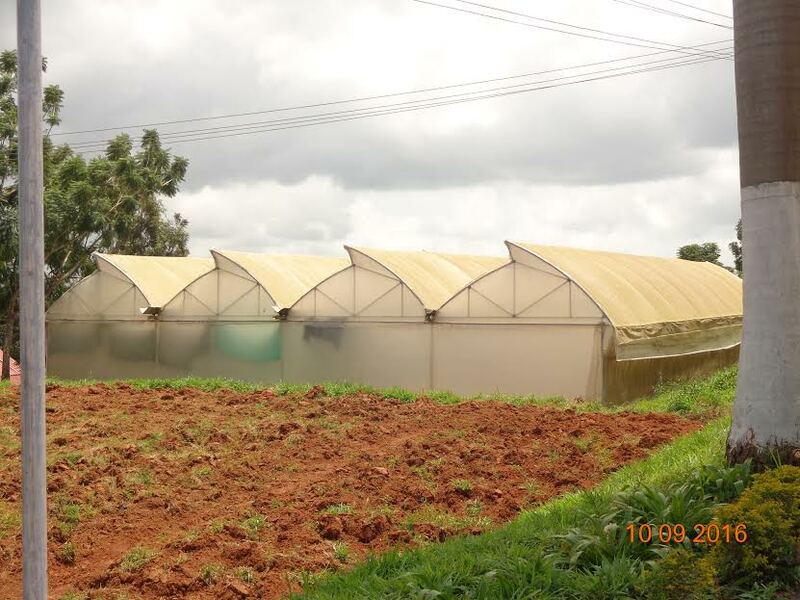 6) There are companies available in market we can make polyhouse and can help you in preparing files/Project report which can help in subsidy.
" Anyone can Make money from Money "
But Unfortunately, there is not money with the 90% of the Startup seekers. At this stage they were looking for the ideas having no investment or minimum investment is required and these Ideas should be implementable and can have potential for sufficient earnings. Here using this blog, we will post one by one business ideas that we have in which we would not require a huge amount to be invest and also these are different from the traditional business ideas which you can see everywhere. Still now from last 8 years we have worked on more than 20 ideas, we have gathered the information, by reading, discussion, visiting the experts. If someone would require any type of help, then we are there even without looking for monitory benefits. We want India to be the GURU for Startups and Richest country all over the universe. We should start business with as many people as we can to give a remarkable figure to the world . Does it mean that only one startup has something that we should learn from their experience? What about those 99 Startups? They don’t have relevant experience? Should we not learn from their experience? Will these stories and learning experience not help other strugglers or startup seekers? We are planning to spread the stories of those 99% startups that were not able to achieve their goals,aim due to some issues that were faced by them.it will help other startup seekers to learn and prepare themselves in their journey of startup. शाम के करीब 5 बजे होंगे, मैं नॉएडा में सेक्टर 12-22 के पास फ्यूल भरवाने के लिए लाइन में लगा हुआ था !तभी एक बच्चा जिसके हाथ में एक बाल्टी थी और उसमे चने भरे हुए थे मेरी खिड़की के पास आता हैं और मुझसे चने लेने के लिए पूछता है , वो इतने छोटा और मासूम बच्चा था की मुझे समझ ही नहीं आया की ये हो क्या रहा है!मैंने पहले तो अपनी कार मैंने रखे 2 बिस्कुट क पैकेट उसे दिए और बोला की जरा रुकना मुझे तुमसे बात करनी है!, मैंने कार PUMP पर लगायी और फिर उस बच्चे को बुलाया !उससे बात करके जो पता लगा उसे सुन कर मुझे ऐसा लगा जैसे बचपन कहीं खो सा गया है! मैं: तुम्हारा नाम क्या है ? मैं : पढ़ते नहीं हो क्या? बच्चा : पढता हूँ पांचवी क्लास में सरकारी स्कूल में ! दोपहर के बाद ये काम करता हू ! मैं : तुम्हारी उम्र क्या हैं और कब से कर रहे हो ये काम ! बच्चा : 12 साल का हूँ और 4 साल से कर रहा हू ! मैं: मतलब 8 साल की उम्र से ? किसने सिखाया ये काम ? बच्चा : किसी ने नहीं , खुद ही देख देख कर सीख गया ! मैं : घर मैंने कौन कौन हैं , पापा क्या करते हैं और किसने बोला है ये काम करने को ! मैं : क्यों करते हो ये काम इस उम्र में , कितना पैसा कम लेते हो रोज़ और क्या करते हो उसका ! बच्चा : सर 200 -300 रुपया बन जाते है और मम्मी को दे देता हु ताकि उनकी थोड़ी मदद हो जाये!ये जवाब सुन कर में इतना हैरान था की बता भी नहीं सकता ! ये सोच कर की 8 साल का बच्चा इतनी बढ़ी बात कैसे सोच सकता है ,जिस उम्र में बच्चो को ठीक से अपने और पराये की पहचान तक नहीं होती , वो इतना कैसे सोच सकता है और सोच क बाद ऐसा डिसिशन ले सकता है जो अच्छे अच्छे नहीं ले पते, वो पढता भी हैं और शाम मैंने काम करता है ताकि माँ की मदद कर सके. जिन हाथो में खिलोने होने चाइए उस हाथ मैंने चने की बाल्टी लेकर आवाज़ लगा रहा है , जिस बैग मैंने बुक्स होनी चाइए उसमे पैसे और जिस दिमाग में शैतानिया होनी चाइए वहा पैसो का हिसाब है , इतना बड़ा हो गया हैं इतनी सी उम्र में ! वो इतना समझदार भी है कि जब मैंने उसके पापा का नंबर माँगा या घर का पता पूछा तो उनसे बताया ही नहीं !उसे शायद ये लगा की मैं उसका काम बंद करा दूंगा ! इतने मैंने कुछ लोगो वहा इकट्टे होगए और मुझसे पूछे लगे की आप किस संस्था से आये हो जो इतना पूछताछ कर रहे है ! मैंने बताया की मैंने किसी संस्था से नहीं हूं ! और ये के करार जवाब है उन लोगो के लिए जो सोचते है की बस हम ही क्यों संघर्ष कर रहे हैं ! अगर लगन हो और कुछ करना का जज्बा हो तो उम्र की कोई सीमा नहीं , समय का कोई बहाना नहीं , ! This is the question that comes in my mind very often, even I am not the only one, this is the question mark for everyone and trying to figure out the answer of the same. As an Employee, we are struggling to meet the expectation of our boss/company and getting appreciations/increments. As an Old Parents, we are struggling to get the respect and some corner place in our own house. As a Poor People, we are struggling to arrange a food for our family. As a startup , We are struggling for implementation, Survival and Funding , we are struggling for fame,name and money. "Struggling is not about Failure" "Its about Shaping Future"